First thing to remember is that Lavender requires full sun to grow well. Choose a sunny spot, which means it has 6 hours or more of sun exposure. Good drainage is the next most important condition.If your garden does not have good drainage, plant your lavender in a raised bed, or get the planting area built up so that the roots will not sit in waterlogged soil. Prune your new plantings. Always good to strengthen the roots of new perennials by pruning top growth; but cutting back is especially helpful in establishing new lavender plants. Keep moist, just not water logged. Even drought tolerant plants need moisture when newly planted, until the roots get established and grow deeper into the soil. 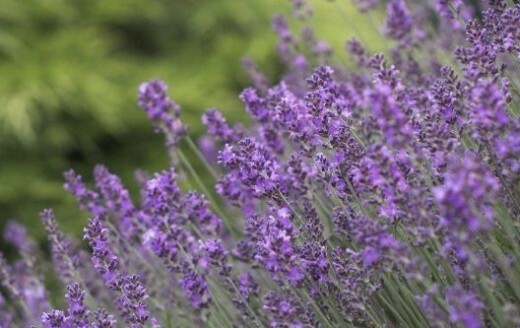 Lavender plants like a more alkaline soil, which means the soil pH is closer to a reading of 7. Don’t know what this means? Some people call these soils “sweet” soil. An inexpensive kit can test your garden soil to see where it is on the pH scale. This soil information is good to know when planting many types of plants. Is the pH lower than ideal? It is easy to correct with a little horticultural lime, available in many garden stores. If you have some wood ashes, those will do the job, too. Around the Mediterranean Sea the lands are the perfect place for growing this shrubby, grey leaved plant. 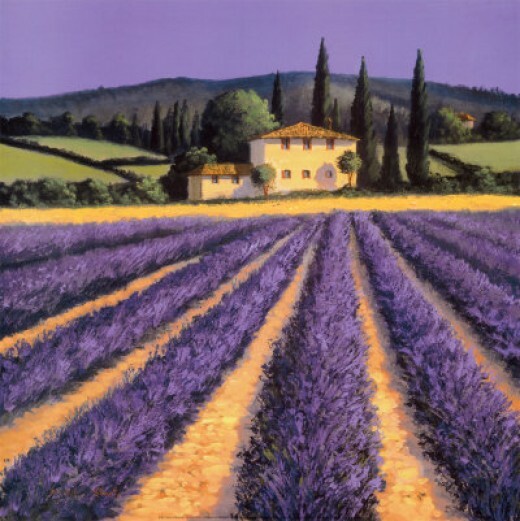 Hillsides of Provence in southern France are filled with fields of fragrant lavender. While the English and Californians can grow gorgeous gardens full of it, it originates in those lands around the sea which separates Africa and Europe. Because it is so ancient, pinpointing the exact area of origin is difficult. Both Romans and Carthaginians used it in bathing. It grows in southwest Asia and southeast India, and is considered a little too well settled (invasive and noxious) in Australia and in parts of Spain. Pruning lavender is an important part of its cultivation. Cut back new growth to give vigor to the plant. Pruning lavender is one of the most helpful growing tips I learned from the internet. With a few important planting tips it is easy to grow healthy stands of lavender to beautify your yard and give fragrance to your home. You might be surprised that Lavender is not only purple, there are pink and white varieties, as well. Lavender is popular for a reason, as both a perennial plant in a flower garden and as a denizen of the herb garden. Harvested flowers and stems make fragrant crafts, potpourri, perfumes, and even an unusual -but delightful- food flavoring. It is easy to grow and its Mediterranean roots means it is adaptable to drier conditions than many common garden plants. 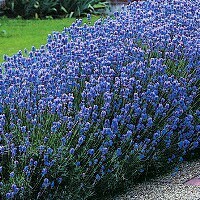 Once you know more about it, and how to propagate it, you may find Lavender becoming one of your favorite perennials. Come explore the world of lavender. 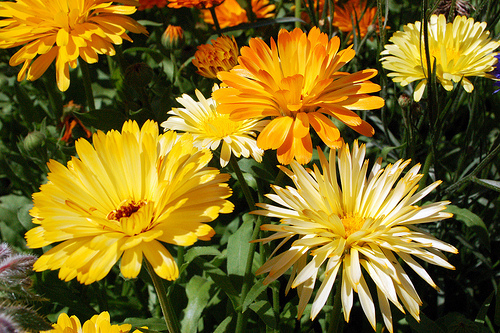 How to grow it, propagate it, and use it, to add enjoyment to your home and garden. Most people know about using a soilless mix as a starting medium, and that grow light fixtures bring growing success when you are short on windowsill space (or even if you are not). Fewer know the secret tip about how using heat underneath can speed up germination and help stimulate root growth. Using heat underneath your seed starting trays helps germination and root growth. 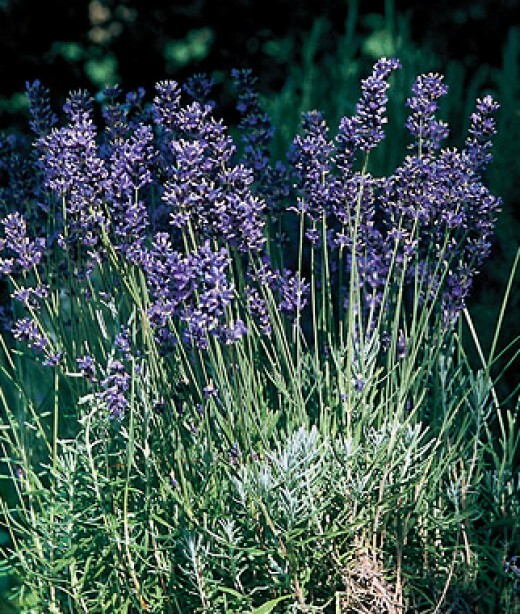 Make new lavender plants from cuttings – my favorite way to multiply plants. 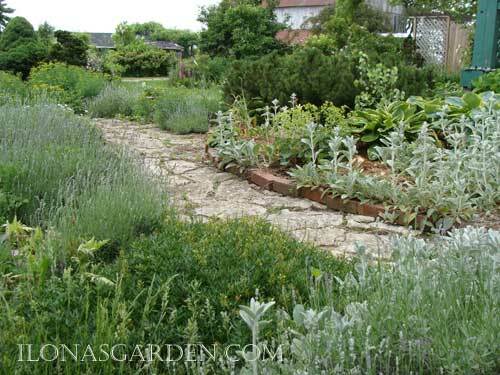 Many gardeners like to grow their own plants from starts, either cuttings or from seed. Either method will be an economical way to have a large number of plants. Using grow lights in your basement or utility room is the ideal way to grow lots of healthy plants for filling your garden beds and not break the bank. You can increase your plants by taking softwood cuttings and rooting them either in the garden or in pots. Lavender branches can also be simple layered by scraping the underside of a branch and holding it to the ground with a rock or a pinning wire until it roots into a new plant. Find out all about methods of plant propagation. Sometimes lavender plants will self-seed, although I have not found that to be reliable. 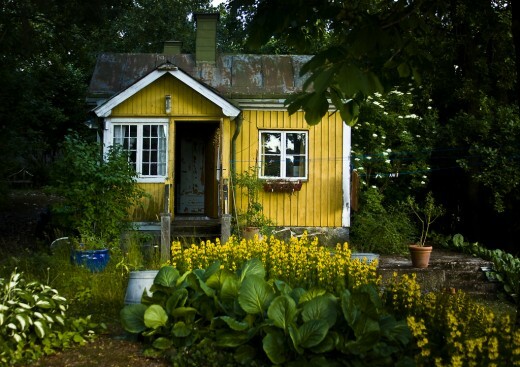 If you have ideal conditions, it might be the case for your garden. 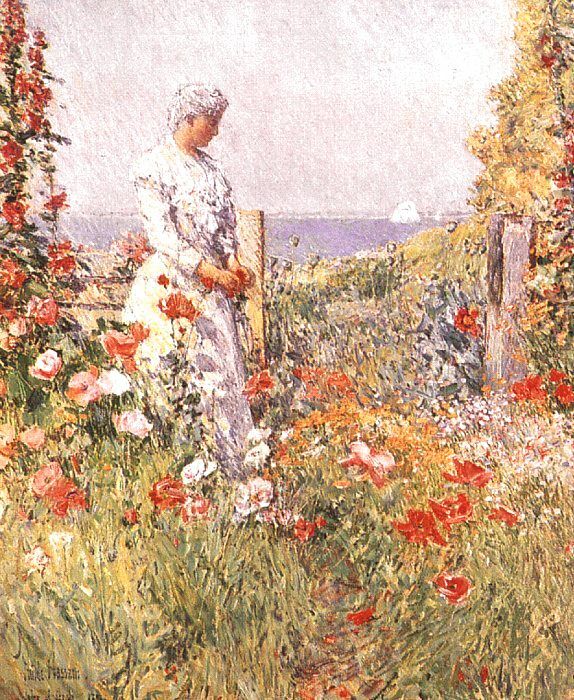 ‘Munstead’ is best for tolerating summer heat. ‘Hidcote’ is best in a cooler climate, may not do well in the South. ‘Sarah’ is more diminutive in size than other L. angustifolia lavenders, yet with a good show of bloom. That should make it your choice for container growing. 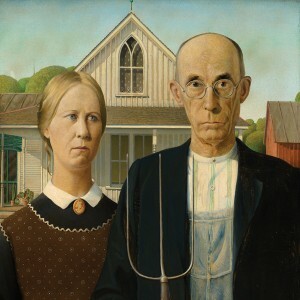 The ‘Lavandins’ are better choices for warmer climate conditions. Choose which cultivar is best for your garden. 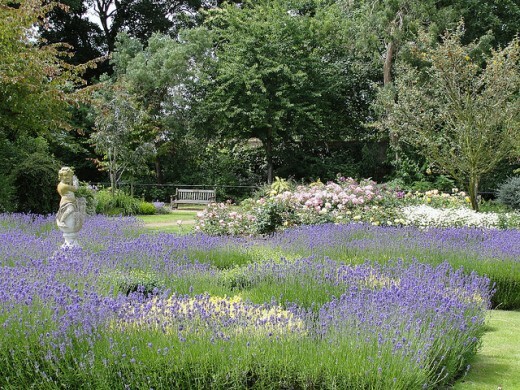 Fragrant lavender beds in a formal garden. Use all of one variety for uniformity. Lavandula angustifolia -common lavenderAKA Lavandula officinalis, English lavender, and the one which sports many named varieties such as ‘Munstead’ and ‘Hidcote’. Although the varieties vary in hardiness, this type is the most hardy of the lavender species. Lavandula viridis, “Yellow Lavender”. blooms at the same time as French lavender, and is tender north of zone 8. 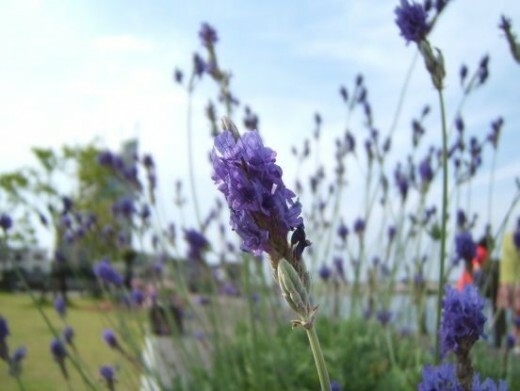 Lavandula lanata ‘boiss’ is also known as “woolly lavender”. Another tender type not hardy north of zone 8; it is worthy of note for its felted white foliage. Grown as a tender perennial in pots, it would be a beautiful foliage contrast to purple leaf sage. Lavandula x intermedia are called the ‘Lavandins’. A cross between L. angustifolia and L. latifolia. They start to bloom just as the the English Lavenders are finishing, and continuing to mid summer. Lavandula x intermedia ‘Grosso lavender’ is cultivated for oil. It is one of the best cultivars for lavender crafts. Outstanding fragrance, but more difficult to grow. Drought tolerant, they are best for thriving in the arid West, tender in my Zone 5 garden, and best treated as annuals in the humid South. 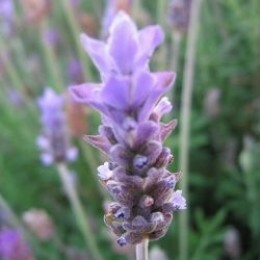 Lavandula ‘Provence’ is best grown as a protected plant in Northern zones. Beautiful plant in an attractive pot for a summer porch. Easiest way to increase Lavender plants is by taking softwood cuttings. 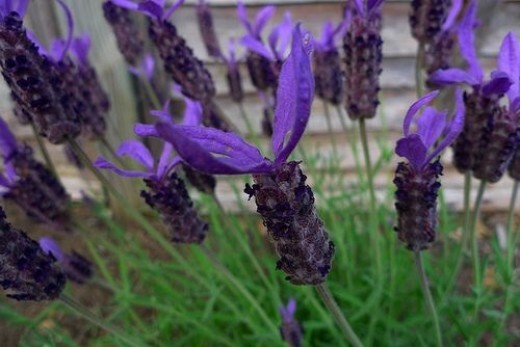 Read more about Lavender and how to grow it. Deep purple flower spikes are its claim to fame, with the usual silvery foliage. A shorter variety which grows to 18 to 20 inches tall. I love a fragrant garden and there is nothing so memorable as the delightful scent companions of lavender bushes and deep purple petunias. Please, do try this perfume combination of plants that scent the garden. These plants are selections that you may not easily find in your local nursery. By following the care guidance in this lens they should do well for you. Remember to check whether the type of lavender you buy is hardy in your area; if not, pot it and keep it indoors during the cold winter months. For me, plants were the easiest way to introduce Lavendula into my garden. I took cuttings for extra plants sometimes, but small pots quickly grew into good sized plantings for me. I did have to replace plants that were damaged by cold winters at times. Overall this was the best alternative, since seeds only occasionally produced good sized plants for my hedge ( which is what I wanted along my front walk). ‘Lavender: How to Grow and Use the Fragrant Herb”, covers the spectrum of how to grow, landscape ideas, and crafting with lavender. 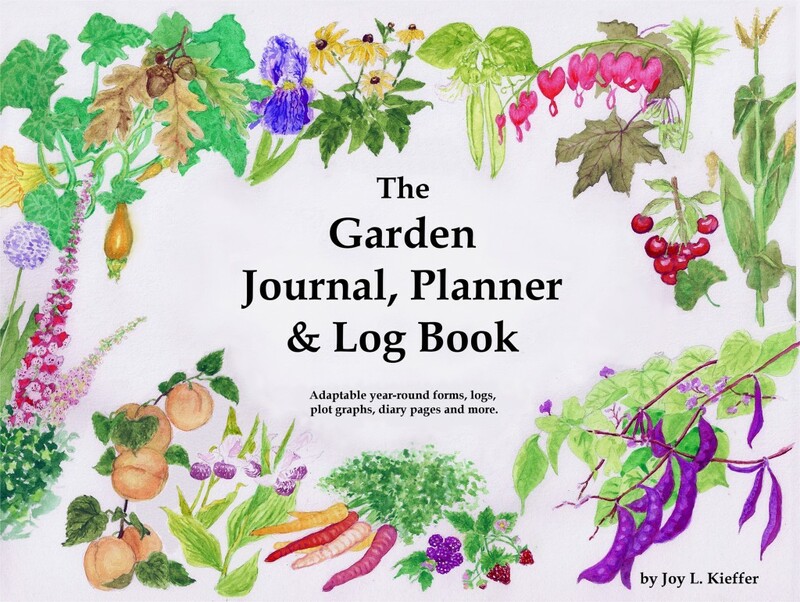 Helpful to a long line of gardeners, now in its 2nd editions. Instructions, tips, and more from the pros. What type of lavender flower is this? What do you already know about growing lavender? I'm here for the crafts, let someone else grow it. 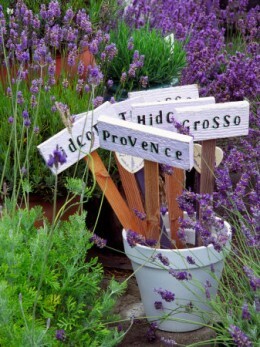 Lavender -The best, most exhaustive information all about Lavender gardening. 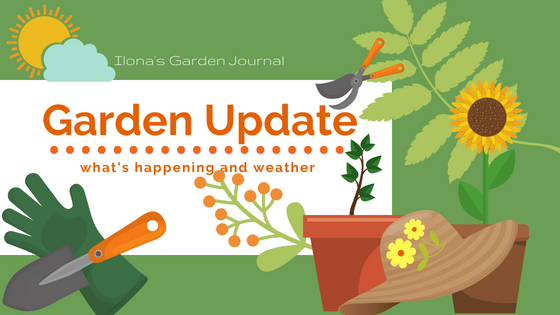 Information for everything from Lavender Essential Oil, Lavender farms, to growing your own plants, along with recipes and products. 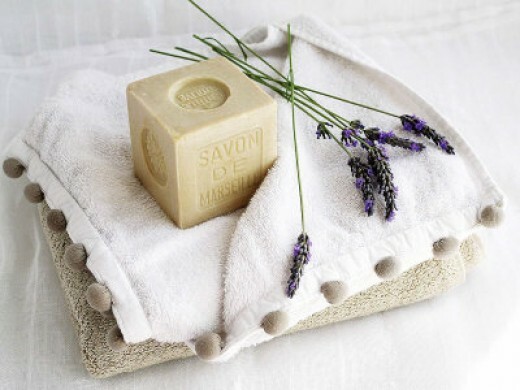 There are some lovely gifts that are quite easy to make with your harvested lavender. Sachets and pillows, wreaths and dried flower arrangements, all sort of things from tea to potpourri. One of the ways I loved using lavender was in a simple dried wreath. 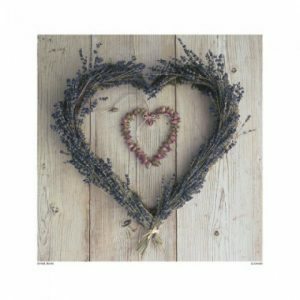 Whether heart shaped or circle, or even square for the avant garde, nothing is easier or more satisfying to create with your lavender. Any type of lavender is fine for crafts, though some have longer stems. 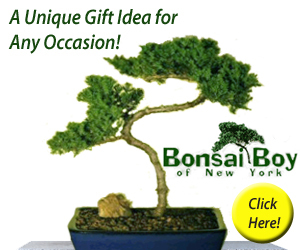 Simply cut branches to arrange on a form and allow to dry. Or dry in bunches first, and then attach to a wreath form. Dried flower bouquets also benefit from the addition of lavender which retains its light purple flower color and adds fragrance to the arrangement. 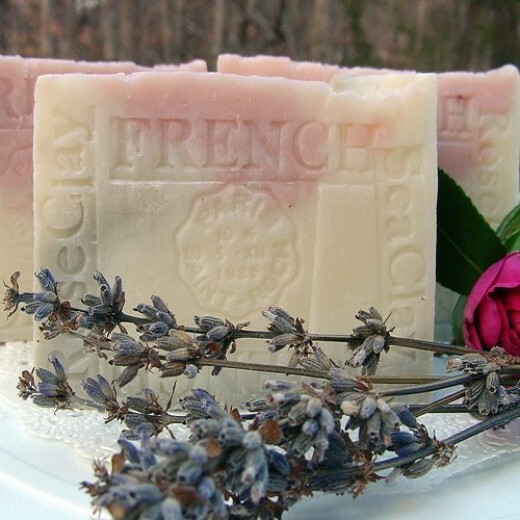 Just about everyone is familiar with the use of lavender to scent soaps. 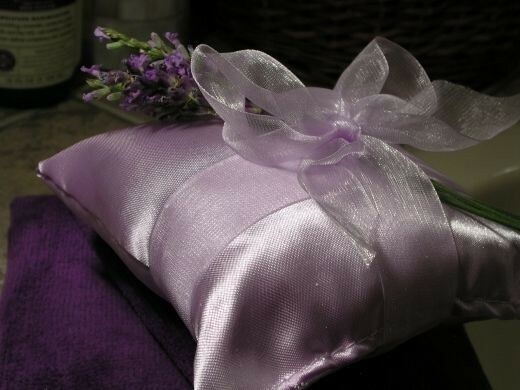 In fact, the name of lavender derives from the ancient Roman custom of using lavender when washing. Lavender’s “late Latin name was lavandarius, from lavanda (things to be washed), from the verb lavare (to wash)” -Wikipedia knowledge. 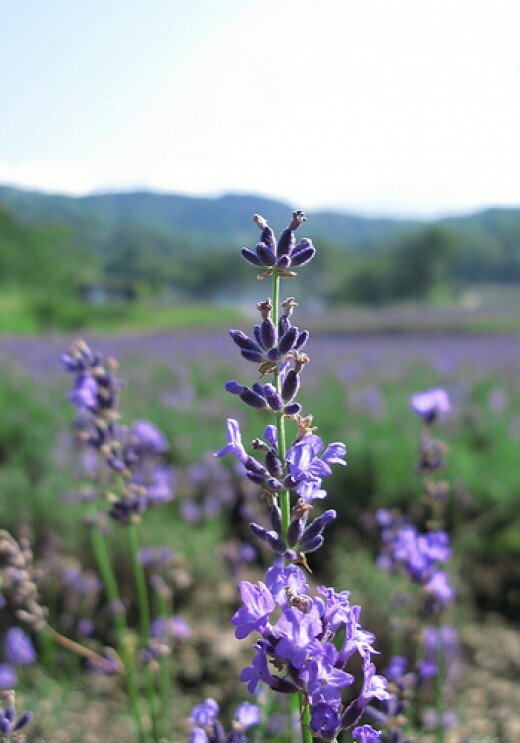 Lavender Wands or “bottles” were beloved by Victorian ladies who carefully wove the stems together with ribbons and then used them to scent linens and repel insects from clothing. When is Lavender Not Lavender? Lavender might seem a riddle if one goes by common names. Cotton Lavender, is an old herb plant whose proper name is “Santolina chamaecyparissus”. 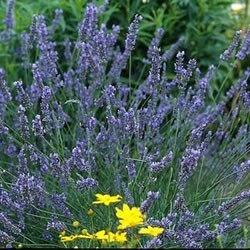 It has yellow flowers, foliage reminiscent of French lavender in appearance. It was used in knot gardens, and has an aromatic fragrance. 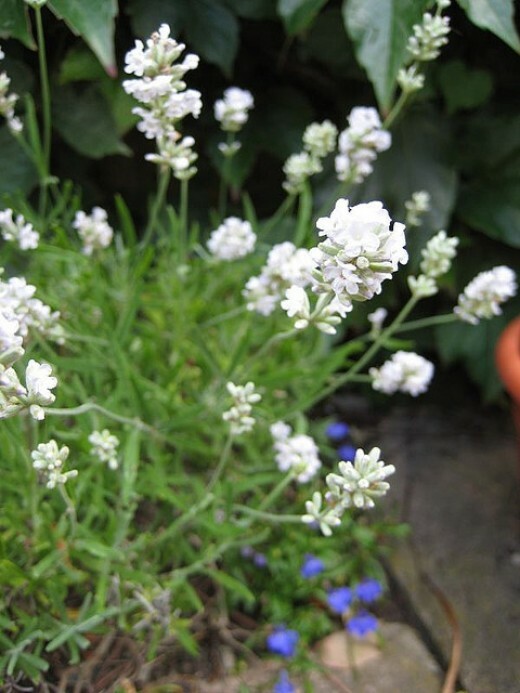 Sea Lavender is well known to those who love dried flowers. It’s true name is “Limonium latifolium”. It has lavender hued flowers that dry well. I could practically smell the lavender coming off the page! It just makes me miss lavender corner even more. With the mild winter we’re having, I would hope they would survive well, but it’s been so damp too. Still, they are in a raised bed area, and have lived and spread for a number of years already, so I think they’ll be fine. Although I don’t have them in a raised bed like you do. That might be why yours are doing well and I have to replace mine every so often (the drainage). Thanks for checking in- I just realized this year how close we live to each other- just opposite sides of Columbus area.